Mobile systems leverage heterogeneous cores to deliver a desired user experience. However, how these cores cooperate in executing interactive mobile applications in the hands of a real user is unclear, preventing more realistic studies on mobile platforms. 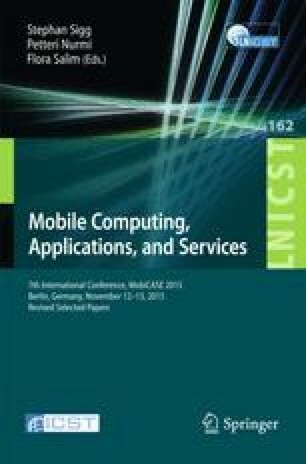 In this paper, we study how 33 users run applications on modern smartphones over a period of a month. We analyze the usage of CPUs, GPUs and associated memory operations in real user interactions, and develop microbenchmarks on an automated methodology which describes realistic and replayable test runs that statistically mimic user variations. Based on the generated test runs, we further empirically characterize memory bandwidth and power consumption of CPUs and GPUs to show the impact of user variations in the system, and identify user variation-aware optimization opportunities in actual mobile application uses. This work was supported in part by TerraSwarm, one of six centers of STARnet, a Semiconductor Research Corporation program sponsored by MARCO and DARPA, National Science Foundation (NSF) award 1344153 and Qualcomm.